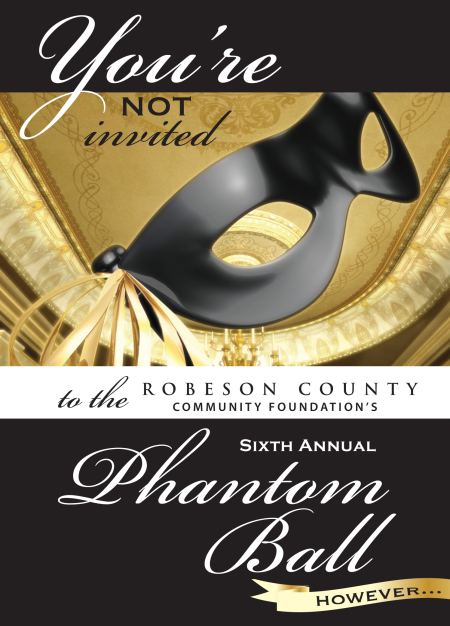 Did you see our "phantom" ball invite? Again this year your gift to the Robeson County Unrestricted Endowment Fund during the month of November is eligible for a proportional match from the NCCF Chairman’s Challenge Fund. By growing our local endowment fund, the Robeson County Community Foundation will be able to offer even more support to our local nonprofit organizations and the residents they serve. We invite you to support our Chairman’s Challenge, one of the most effective methods of impacting our community. Click here for more information.